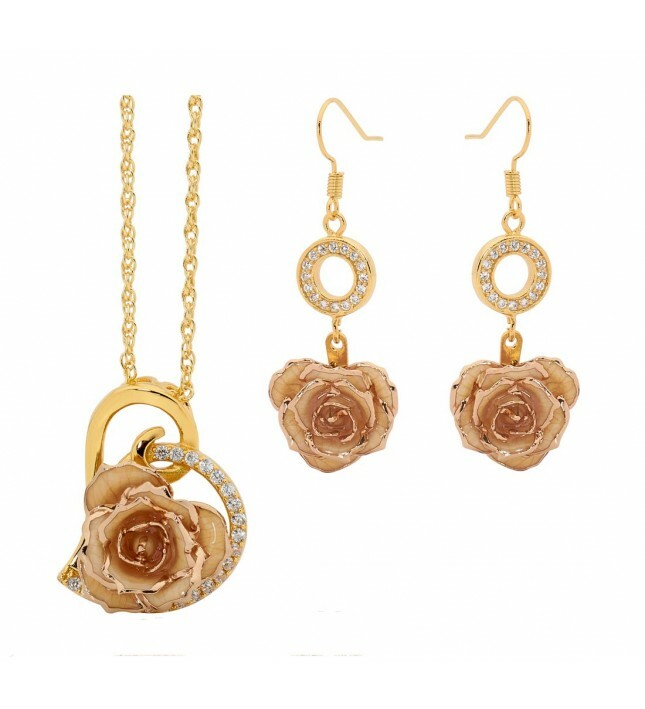 • A magnificent matching set which includes a stunning rose that has been gold-dipped, together with a matching white glazed pendant and pair of drop earrings. 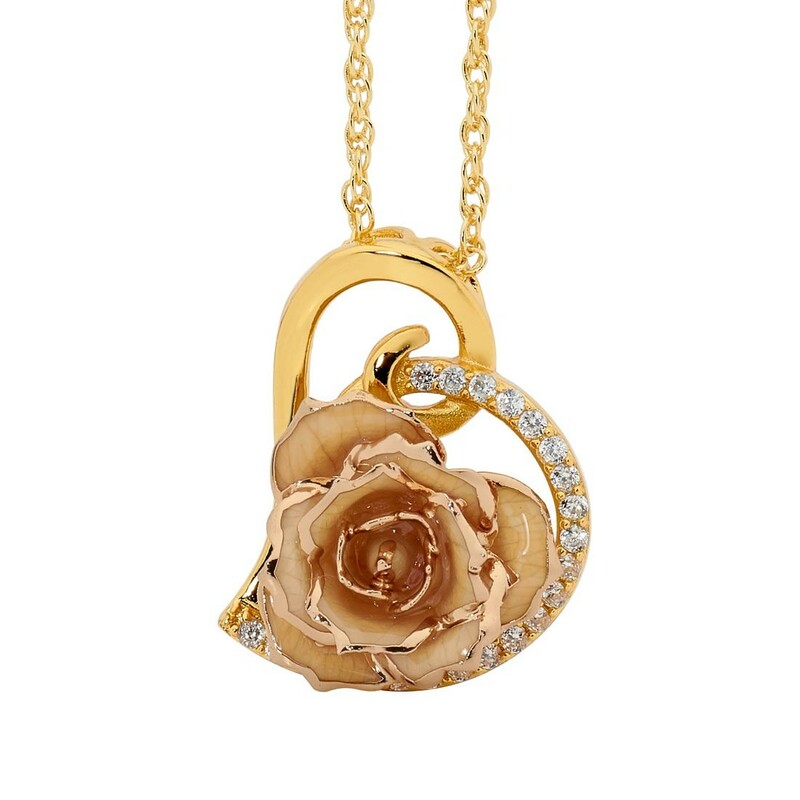 A heart-shaped pendant featuring synthetic diamond detailing, fashioned from real miniature white rose petals and decorated with 24 karat gold trimming. 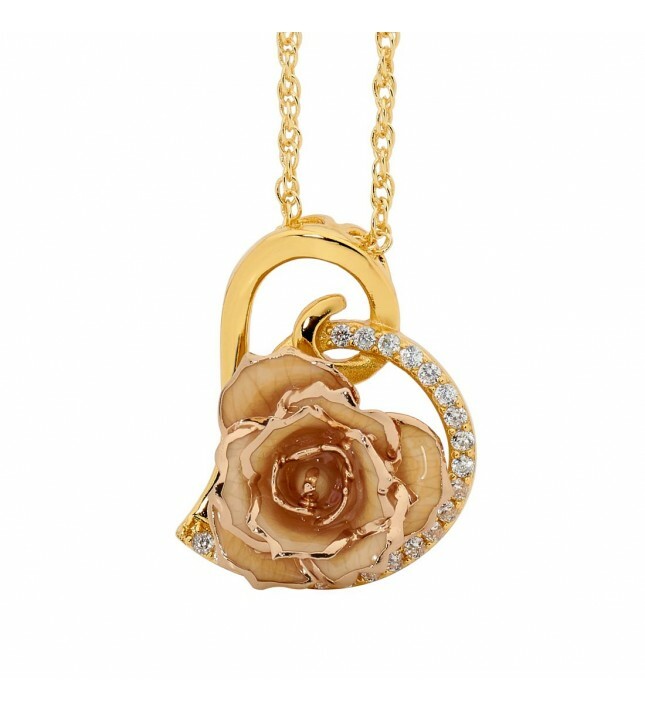 Every pendant comes complete with a matching 24 karat gold-dipped chain. 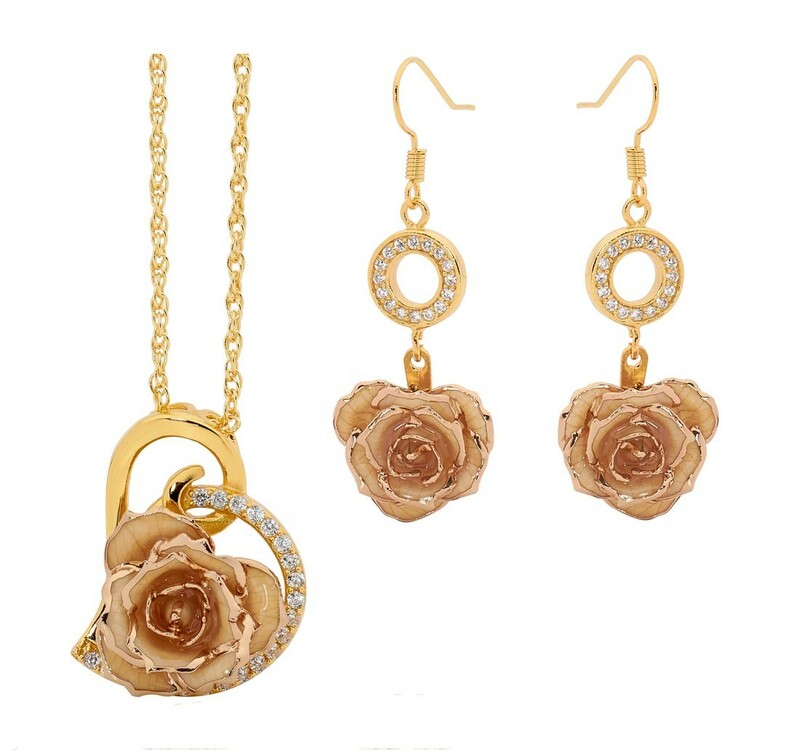 The diameter of the rose head is 3/4" and the entire pendant measures 1.2" by 0.9". A pair of natural miniature white rose drop-earrings featuring a gold-dipped ring encrusted with 16 synthetic diamonds. 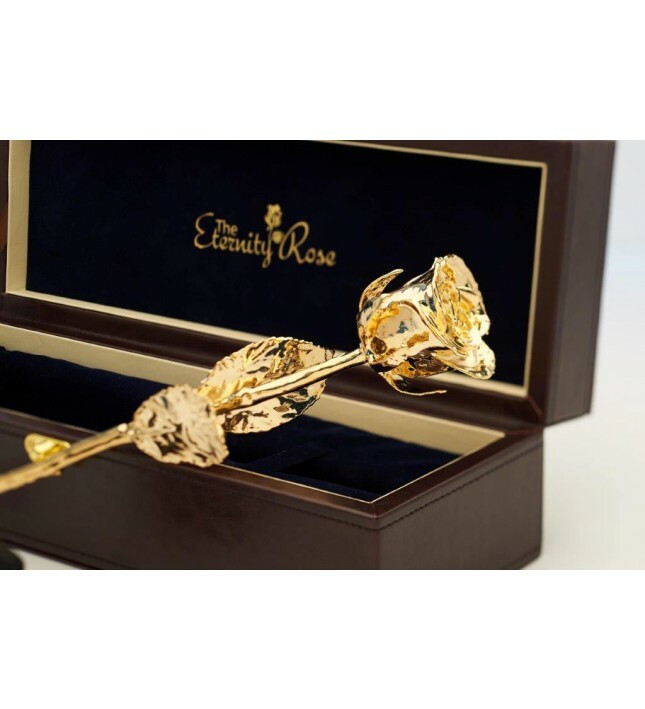 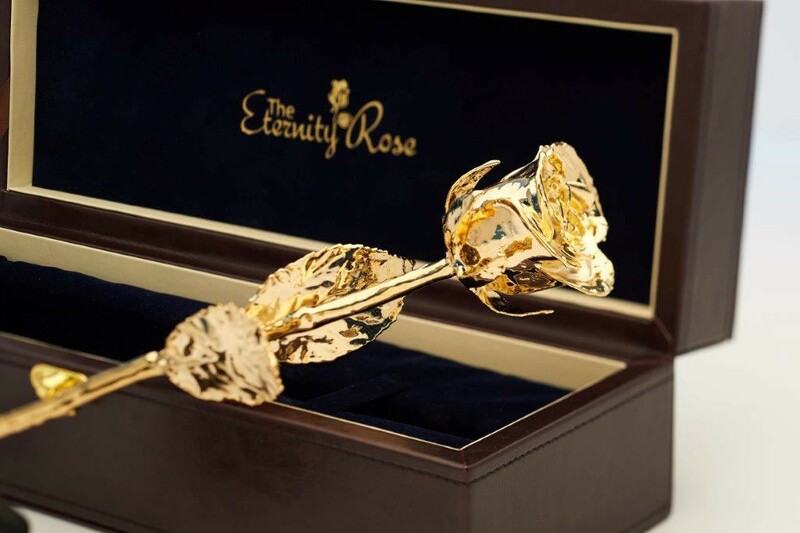 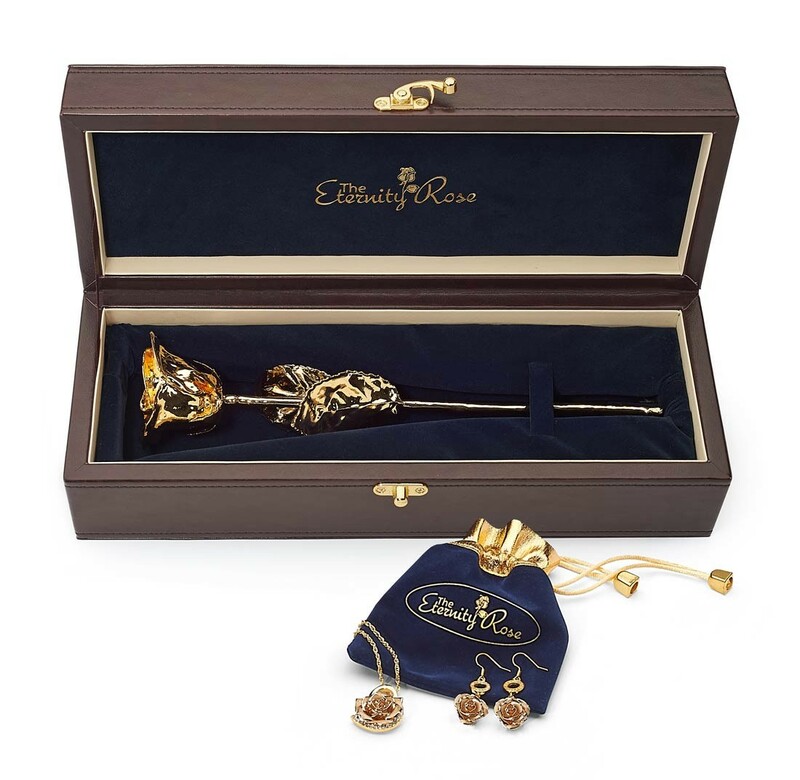 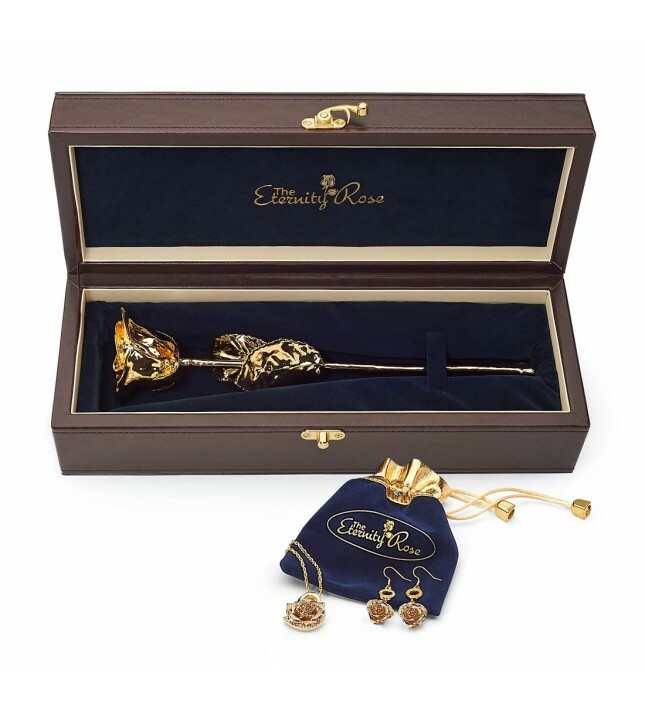 The diameter of the mini rose heads is 5/8" and they are trimmed with fine 24 karat gold.